Bubba the Love Sponge® (born Todd Clem), is a native of Warsaw, Indiana who began his radio career in 1986 at WPFR in Terre Haute while he was in college. By age 25, he was doing morning hit radio in Chicago and also has had his show aired or been syndicated in Grand Rapids, MI; Milwaukee, WI; Philadelphia, PA; Toledo, OH; San Diego, CA; Columbus, OH; Cincinnati, OH; San Antonio, TX; Tampa, FL; Orlando, FL; West Palm Beach, FL; Macon, GA; Wichita, KS; Shreveport, LA; Ft. Myers, FL; Jacksonville, FL, and Hartford, CT, for which he earned multiple awards from Billboard and Radio & Records, including four consecutive R&R DJ of the Year awards and six Billboard Rock Air Personality of the Year awards. In 1999 he legally changed his name to the trademarked Bubba the Love Sponge®, a nickname given to him by a former fellow DJ which appears as such on his passport and driver’s license. His name recognition and popularity grew as the Bubba the Love Sponge® Show became syndicated throughout the US, and he became a top-rated media figure operating out of the Tampa Bay area. In 2004, Bubba lost his job in terrestrial radio due to widely-publicized crackdowns on “indecency.” During his time off, Bubba made headlines when he ran for sheriff of Pinellas County, Florida in 2004. Althoug unsuccessful in his bid, he garnered 30% of the vote. Bubba was able to keep the entire show staff together until Howard Stern brought him to Sirius Satellite Radio in 2006 to be part of his groundbreaking new lineup. In addition, the Bubba Radio Network returned to terrestrial radio in Tampa in Jan. 2008 with a bang, jumping instantly to #1 in most major demos. Bubba is currently ranked #26 on TALKERS magazine’s prestigious “Heavy Hundred” list of the top national talk radio personalities. Bubba maintains a longtime team of loyal co-hosts and producers, who bring a wide range of talents to the show: Executive producer ‘Ravishing’ Ric Russo, audio production and impersonation wizard Manson, radio’s oldest and crankiest pervert, Ned, and 25 Cent – the BRN’s ‘Young Urban Bandit.’ Listeners are equally familiar with and entertained by Bubba staffers such as Chaz, Carl Harris, Pantera, Hammil, Caveman Miller, Gilkey and more. Bubba broadcasts from his own, private, custom-built radio broadcast and audio/video production facility in Tampa. Bubba’s off-air interests, such as race car driving, enjoy a prominent place on his show, which has become the “go to” place for people who are interested in fast cars and bikes, hot women, captivating sports, compelling guests, and humorous, real-world political discourse of the “Bubba” kind. everyman approach to many non-traditional radio topics, and for the unique lingo he often uses on-air, which fans refer to as “Bubbaspeak.” Fans of the show are known nationwide as the “Bubba Army,” and are very active in participating in functions and calls to action, where it is not uncommon to have thousands show their strength and support for the show. Bubba the Love Sponge® was Howard Stern’s first choice to join him in his celebrated launch on Sirius Satellite Radio on Jan. 9, 2006, where the Bubba the Love Sponge® Show is broadcast nationwide weekday afternoons from 3-7 pm ET (12-4 PM PT) and on Fridays from 10AM-2PM ET, on channel Howard 101. According to Arbitron radio ratings, Howard 101 is the second most-listened to channel in satellite radio (behind Howard 100), and Bubba’s show attracts satellite radio’s second-largest audience, behind only Stern’s and with more listeners than all other talk/entertainment shows combined. 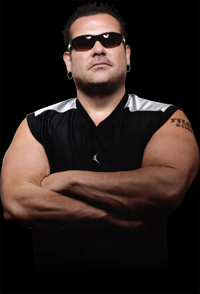 Bubba the Love Sponge® was the voice and play-by-play announcer for the celebrity reality TV competition Hulk Hogan’s Celebrity Championship Wrestling, that aired Fall 2008 on the CMT network. Bubba was also featured on the VH1 reality TV series Hogan Knows Best. Bubba has also been regularly featured on cable TV’s Howard Stern On Demand (part of In Demand Networks), celebrity/entertainment segments on MSNBC, HBO, FoxNews, Good Morning American and is currently considering additional on-demand and reality TV show proposals. Bubba consistently attracts press coverage in a wide variety of media, whether for his provocative on-air opinions and activities, or for comments made by his guests, who tend to speak more freely on his show. In fall 2007 Bubba made national headlines for detaining a suicidal caller to his show for nearly an hour until police could locate the man, separate him from his gun, and get him help. During the same time period, Baltimore Oriole Aubrey Huff was roundly criticized for candid remarks he made about baseball on Bubba’s show. Bubba is a regular guest on FOX 13 TV/Tampa’s 11 pm news segment “Lightning Round,” and, in addition to the radio industry media, has been extensively interviewed or quoted for media outlets including CNN Headline News Showbiz Tonight, People magazine, TMZ.com, E! True Hollywood Story and many more. The raucous DVDs Bubba Raw®1 and Bubba Raw®2 were released in July 2008 and November 2008 respectively by IVD Exclusives, and are experiencing great sales nationwide at retail locations and online. Both feature uncut, uncensored, behind-the-scenes video footage culled from thousands of hours of on-air and off-air show antics, and will be followed by the release of Bubba Raw®3, currently in development. Bubbapalooza, the live comedy & entertainment show featuring Bubba and his radio show’s co-hosts (Brent Hatley, Manson, Ned, along with other staffers) debuted in Ft. Myers, Florida in October 2007. Due to popular demand, Bubbapalooza has since been presented at The Celebrity Theatre, Phoenix; The Joint at the Hard Rock Hotel & Casino, Las Vegas; Star Plaza Theatre, Merrillville, IN; Mark G. Etess Arena at Trump Taj Mahal, Atlantic City, NJ; The Agora, Cleveland, OH; The Fillmore Detroit; and the historic Florida Theatre in Jacksonville. They also did a show in Canada in Calgary, where they were overwhelmed by the amazing fans of the Great White North. Attendance at every venue is outstanding, with $149 VIP tickets that include premium seating and a pre-show meet-and-greet selling out in minutes. His involvement in racing now includes owning a dirt race track in Ocala, Florida (Bubba Raceway Park), his own 8-car race team, CRI (Clem Racing, Inc.). His 10-year-old son, Tyler Clem races a full size late model car and is one of the youngest racers in history to compete at his age. The Clem Racing Team competes across the US, and has corporate sponsorships with Lumber Liquidators, Miller Lite, K&N Filters, Bell, Oakley, Amsoil, Leaf Racewear and Supreme Protein. Tyler is one of the youngest drivers to enjoy development deals with Stewart/Hass Racing, Tony Stewart’s new NASCAR racing team. The Bubba the Love Sponge® Foundation, recently formed as a 501 (c) Florida charity, donated funds to two Tampa area charities serving children and families, and will donate proceeds from future events held to raise awareness and provide funds for community victims and related causes. Bubba’s fans across the US, known as the “Bubba Army,” are avid purchasers of Bubba merchandise including clothing, CDs, DVDs, iTunes downloads, truck mud flaps, and limited edition CDs, including the mammoth, 25-disc Bubba’s Super K5 Anthology: A $299 autographed box set with a 38-page booklet highlighting the show’s history, special online video access codes, and, of course, plenty of photos. Bubba merchandise has been purchased by fans in all 50 states and Canada, with concentrations in markets such as Las Vegas, Phoenix, Tampa, Sacramento, San Diego, Edmonton, Calgary, Jacksonville and Pittsburgh, to name a few. A full time staff of four is utilized to handle the preparation and fulfillment of nearly 50,000 annual orders. The reach and popularity of the “Bubba Army” cannot be underestimated, as “Bubba Army” clothing has been spotted on members of such popular TV shows as Ice Road Truckers, Ax Men, Hogan Knows Best, and Brooke Knows Best. The Bubba Radio Network® currently employs a large staff including employees in radio broadcasting, merchandising, audio and video production, and sales and marketing. The Bubba Radio Network® also develops and sells exclusive content and merchandise via its heavily trafficked web site (www.btls.com), which 4.4 million people logged on to during 2007 more than 366,000 unique users in an average month.